Warning! 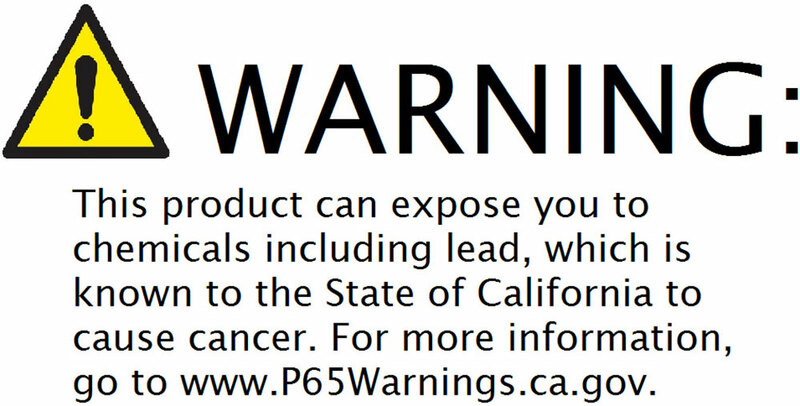 Do not buy just any disc brake kit to go along with wire wheels before you read the below information. Our kit fits, even with 14 inch wire wheels. Specially formulated for collector cars with wire wheels. peace of mind of modern disc brakes. Classic front disc brake kits that will fit inside most 14 inch and larger wheels. Our systems combine modern technology with contemporary styling in an affordable package. Our brakes deliver confident, stopping power. The above kit is shown as an example and may not be the same as the kit your car requires or include the same parts. Did you know that not all disc brake conversion kits will work with wire wheels? It is true. Please check with us before purchasing any conversion kits that may not fit. Our kits with Truespoke wire wheels are like spaghetti and meatballs. Finally! 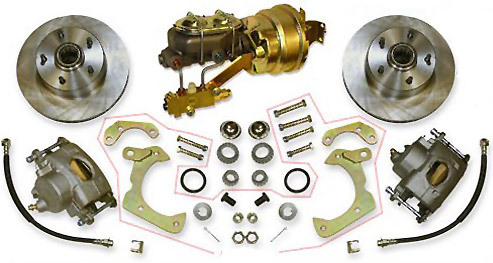 A disc brake conversion kit for classic cars that is wire wheel friendly! A solution for classic car owners who demand the finest braking system available at affordable prices that will fit our wire wheels. Works with either manual or power brake systems. DOT approved stainless steel braided flexlines are available. Simple bolt-on kit comes complete with all the necessary hardware and a detailed installation guide. No modifications are necessary for installation. You can always convert back to your original drum brakes when the situation calls for original equipment. This is the first disc brake conversion kit we have offered that is compatible with our wire wheels. 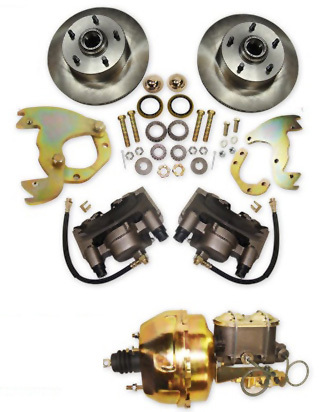 Let us help you select the right disc brake conversion kit for your classic car. Please email or call an expert for more information. When it comes to equipping classic Cadillacs, Thunderbirds, Buicks and MoPars, please put our experience to work for you. The design of drum brakes require correct and regular adjustments. Even when adjusted properly, drum brakes fade and lack proper directional control. Disc brakes never require adjustment and provide dramatic improvements in fade resistance and directional stability. Radial tires, disc brakes and proper shock absorbers are the essential elements in achieving a modern driving experience for your classic automobile. This photo gives you an idea of what one of our disc brake conversion kits may look like. We can supply all the parts you need. From the firewall to the brake pads. Replacement brake pads can be bought at NAPA auto parts stores. No need to order expensive replacement pads. Our kits allow for emergency brake operation. Power brake master cylinders not available from other sources can be ordered. We have the parts and support you need for your classic car. The kit to the right is shown as an example and may not be the same as the kit your car requires or include the same parts.